The worse hotel i have ever been in. A lot of black algea in bathroom, wall paper hanging loose, carpet schreded, but overall unclean and neglected. Not at all what is shown on internet. Bathroom ceiling at 1.90 m, shower at 1.60m. I am 1.96m tall. Breakfast is minimal asian. Smelly bed linen. Advise, dont go there. Enteance is poor snd hitel is above a commercial building. Location: Couldn't be better. You are right beside the train station. A 15min walk to the next station and you have a whole load of food choices around the area. The back lanes of the hotel are also littered with small shops that sell food and other stuff. Very very convenient location. Check-in: Staff are very friendly and helpful. They provided excellent service. Room: Small. Pictures really don't portray how tiny the room is. Also, the room is extremely dirty. The couch looked extremely dusty with stains. We didn't dare to sit on it. I flipped the stool over and i saw a whole layer of dust underneath. Behind the TV was also caked with dust. The carpet looked quite gross also. However, if you don't go looking around, behind and under stuff, you wouldn't see the dust. I guess the room is quite old already. It's shameful for this hotel to even advertise itself as such - I've seen better standards in many hostels and private homestays. The first room they showed us had such a pungent smoking odor that you couldn't even remain in the room. The same scent lingers in the corridors. Inside the room, everything was dirty. Everything. There's black mold growing in the shower and between the mirror and the sink. The walls are all stained, and when I wiped the nightstands with a towel, it came away black. There was a used and empty water bottle to greet us beside a full one. The ceilings are low and stooped, so take a care if you're claustrophobic. I wore shoes or slippers the entire time, and put a towel down on the floor before stepping into the shower. But really, even if the location is central, I couldn't ever recommend this hotel. If you want central, be prepared to pay a bit more. Otherwise the MRT is fast and affordable in Taipei, so book a bit outside of the main areas for better value. Staying at Eastern Star was an unhygienic and disgusting experience; I can't believe this hotel exists inside such an orderly and pleasant city. The hotel is a bit run down but it was clean enough. The location is great. You could not ask for a more central location for this price. The front desk staff was really helpful and polite. Overall it was what I expected for the cost in that area. If you are looking for a cheap, no frills place to stay in the heart of Taipei, this is a good choice. The hotel is very good located near the Bannan line of the Taipei subway which is the best choice for travelling around the city. Actually the whole hotel is in the 11th floor of old and rusty building. The staff is very helpful and nice. The room was cleaned every day and there are also free bottles of water, tea, instant noodles and Taiwanese soft drink. In the small street between the hotel building and building with Zara shop are many small food takeaways with great and cheap noodles or grilled pieces on the stick. The breakfast was very Taiwanese standard - bowl of rice, sausages, ham and egg with variation of pickles and vegetables. The furniture and the shower were very old and really need some innovation. But if you spend in the room only night it is quite good. Also if your room is.oriented to the street (with Taipei 101 view) you can hear the car traffic. This hotel is an a safe area and an easily accessible one. The Taiwanese staff are nice especially cleaning staff greeting you as you pass by them even if they do not know any English. Staff helped me print itineraries and other documents in their business centre. Wifi is fast and breakfast has many different options. From the hotel's neighborhood you can get a view of the Taipei 101 and you also have a short distance to many stores, parks, and government buildings. Next time I go to Taipei city, I will come back here. Decent Hotel with 4 star range rooms with almost all facilities including wifi. Bathroom is little smaller in size but was within comfort zone. Hotel staff were polite and helpful in guiding the place. Breakfast was good. The location is excellent - right next to subway and near shopping areas. The hotel is very small and basic. So if you are looking for a nice and spacious hotel this is not meant for you. The hotel is located in a building and shares with other establishments including another hotel so it might be a bit confusing for a first-time visitor. It is located right next to Watson and near Zara. It wasn't quite what I expected, being on the 11th floor and only a discreet sign at the ground level building directory. It's also a bit disconcerting to have to walk past the nightclub's promoters who set up shop in the evening. My room was small but seemed clean. All the basic amenities and toiletries were there, except that I didn't find any safe. The walls are thin, so you can hear traffic noise, people in the corridors, and inconsiderate neighbours in their rooms. I didn't explore their business centre. Their staff are friendly and helpful. I took advantage of their airport transfer service and was happy with it. I thought I'd paid for daily breakfast but got only one coupon for one day's breakfast - maybe I was supposed to request it daily at reception? Anyway, breakfast was served in a tiny room on the 6th floor - porridge and condiments (including stir-fried veg and fried eggs) and bread with jam/butter. Not quite what I like so I thought finding breakfast elsewhere would be better. Other than that, the location is near to an MRT station, and there are shopping centres and interesting-looking side streets to explore. The Eastern Star Hotel is on the 11th floor of the building. This is not a problem as the Front Desk is on the same floor as the rooms. The rooms are a a bit tired, some cigarette burns on the fittings and carpets. No-smoking policy now in place. The rooms were clean. Fantastic shower! One elevator has it's panels held in place with duct tape. It adds character - we are are not budget travellers. The staff were wonderful! They were super helpful and nothing was too much trouble. The MRT station is right outside the building so, getting to anywhere is easy. Located in Daan within a short walk of Sun Yat-Sen Memorial Hall, Eastern Star Hotel is within a mile (2 km) of other popular sights such as Taipei Arena. This 25-room, 3-star hotel welcomes guests with conveniences like a coffee shop/café, free in-room WiFi, and a business center. Buffet breakfast is offered for a fee each morning from 7:30 AM to 10 AM. Get a pick-me-up at the coffee shop/café. A 32-inch LED TV comes with cable channels, and guests can stay connected with free WiFi and wired Internet. The bathroom offers a rainfall showerhead, free toiletries, and slippers. Other standard amenities include a refrigerator, free newspapers, and free bottled water. 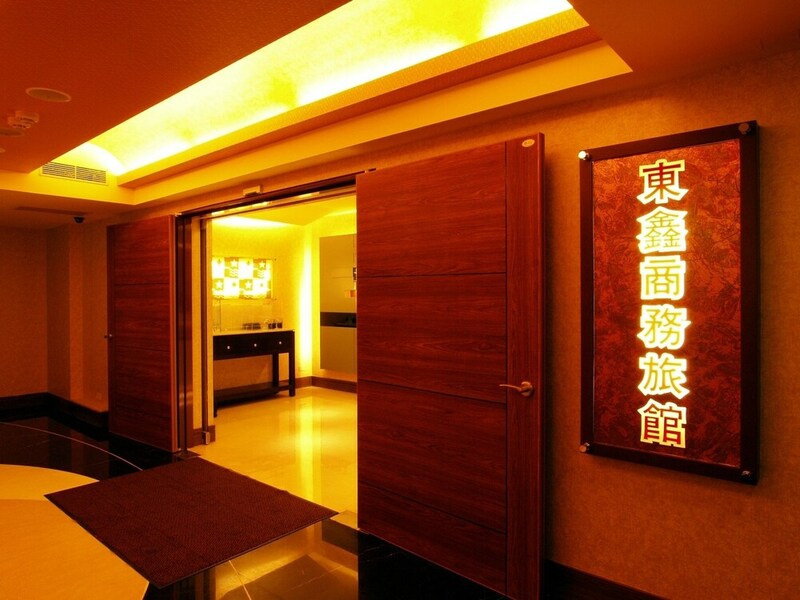 Guests of Eastern Star Hotel enjoy free WiFi in public areas, a business center, and free newspapers. If you drive, self parking is TWD 100 per night, or you can take advantage of the airport shuttle (available 24 hours) for TWD 1100 per vehicle one-way. The 24-hour front desk has staff standing by to help with securing valuables, dry cleaning/laundry, and luggage storage. This smoke-free hotel also has a water dispenser. Buffet breakfast is served daily from 7:30 AM to 10 AM for a fee. The front desk is open 24 hours a day. For convenient arrivals and departures, you can take advantage of the airport shuttle (available 24 hours), which is offered for a fee. Driving? This property offers parking (fees apply). The property's check-in start time varies. Check-in opens at 1PM on weekdays and at 3PM at weekends and during public holidays. For further information, guests may contact the property using the number provided on the reservation confirmation received after booking. The following credit cards are accepted: JCB International, Mastercard, and Visa. No alcohol is served at Eastern Star Hotel.